This low growing cultivar of Spanish lavender has pinkish top bracts and vibrant magenta corollas. A real standout. 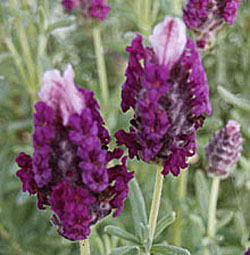 Spanish lavenders have a piney lavender scent and the growth is often a bit sprawling.